The following recipe uses Spanish serrano ham - cured, air-dried Spanish ham (prosciutto in Italian). The term serrano comes from the Spanish word, sierra and means "from the mountains"
There are variations of this dish, such as habas con chorizo, using chopped chorizo instead of ham, broad beans with pancetta/smoked bacon or a mixture of Serrano ham and chorizo. In Murcia, I have also had habas con morcilla (Spanish black pudding). Broad beans are very versatile. If the broad beans are fresh and young, there should be no need to pre-cook them (*frozen broad beans work just as well). If the beans are a little older you may need to steam them for a couple of minutes before adding. If they have passed their best and a little pale - like the chef - they can be steamed for two minutes and then the outer shell removed and discarded to reveal bright green beans within. Add the oil to a frying pan and gently fry the onions and garlic till softened. Add the chopped ham and heat gently for 5 minutes - add more olive oil if needed. 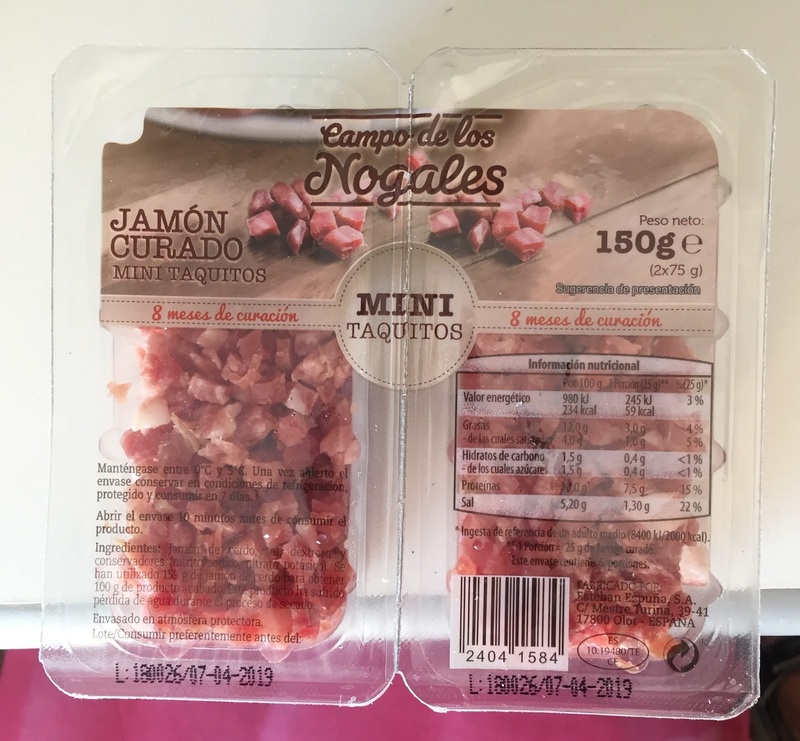 In the UK I use finely sliced ham cut into small pieces but if you can buy the ham (jamón curado) in a piece, it can be coarsely chopped, In Spain it can be bought ready chopped rather like lardons. Add the beans and half glass of wine or dry sherry and the chopped oregano and continue on a low heat for 10 minutes. (Cover if you have a lid) Season with freshly ground black pepper (and salt if needed - but the ham may be sufficiently salty itself). If the dish looks too dry you can add half a glass of water and or oil during this final cooking stage. Stir and serve garnished with chopped parsley. 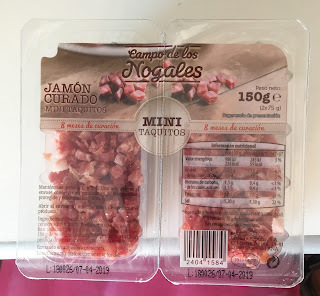 Variations - Use Chorizo instead of Serrano ham - or a mixture of both. If using chorizo, chop finely and fry gently before the onions to extract the oil from the sausage. Also, if using smoked bacon or pancetta, fry this gently before adding the onion. Oregano or marjoram goes well with this dish but you could try mint or garnish with mint instead of parsley. And if you don't have broad beans, try this dish with French beans or flat/runner beans - Judias con jamón- but the beans will need to be steamed before adding to the dish.